Bye Bye Under Eye is rated 4.4 out of 5 by 702. Rated 5 out of 5 by Bonnie B from Great coverage I have tried many coverage products, and there isn't one that can measure up to Bye Bye. I bruise very easily, and I had sinus surgery which left deep, dark bruising under my eyes. Bye Bye covered it completely. It's easy to apply and you don't need to watch a YouTube video and become an expert. It's the best. Rated 4 out of 5 by Mom42 from Tricky to blend I bought this after trying it on using the tester in a store. The shade options are excellent, and I found a good match for my very fair, though rosy, skin. For my middle-aged under-eye area, it's a bit thick to spread, even after warming it on my hand. Combining it with the IT brush recommended for this purpose made the pulling even worse. Using a small cosmetics sponge seems to work much better, getting good coverage without tugging at the delicate skin in that area. However, it's not enough better, in my opinion, to justify the cost over popular drugstore brands. 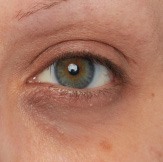 There was some settling into creases and patchiness after just a few hours, even when set with the IT finishing powder. I still will use it until the product runs out, but it's not good enough to purchase again.